You are here: Home :: WordPress :: Should I update WordPress themes? Modified: August 9, 2017 | First Published: Posted on July 9, 2012 Author Ruth Maude 15 Comments on Should I update WordPress themes? New versions of WordPress are released regularly often accompanied by updates to the core default WordPress themes (the themes that come with WordPress such as Twenty Seventeen). Immediately following a new release, clients often ask me if it is safe to update the default WordPress themes. Here’s what you need to know. Why Update the Core WordPress themes? When there is a major new release of WordPress, new features are added. The core themes are always updated to enable these new features to work. If you are using one of the core themes and you have made modifications to the theme files, updating will overwrite your changes and your website will revert to the standard theme appearance. Your modifications will be lost. You can delete themes you aren’t using (except for the parent theme) so you don’t have to update them all. What is the purpose of updating non active themes? It’s best practice to keep everything that is installed up-to-date. Updating will remove the update notifications – I don’t want clients to ignore these notices. I recommend that clients keep one WordPress default theme other than their active theme then, should their live theme break, WordPress has a fallback theme to use. Thanks I googled: “Should I update all the WP themes each time?” Your post was first and it answered my question explicitly. Then your previous comment asked my next question, which you also answered perfectly. Thanks for taking the time to post these jewels of information that sometimes get missed even in our professional training. You’re welcome Angie. I’m glad that I helped you find the answers you were looking for. Ruth, I am not a programmer or a web guy by any means. I am to scared to create a child theme because i don’t know how to use the programs needed to create one… FTp, back ups and C++ are all things i don’t know how to use. is it ok to just skip updates if i am happy with the way my site is looking and working? If your theme changes are just CSS changes… Go to Jetpack -> Settings and activate Custom CSS . This will allow you to make CSS edits without a child theme. Then you can safely update your theme. You don’t want to be in a position where you have to ignore any updates. I’m using the most up-to-date version of the Twenty-Fourteen theme on my blog but I’m getting notifications to update the WordPress default theme. Do I really need to update it? If so, will it take over in place of my Twenty-Fourteen theme? 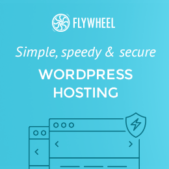 Can I delete it without sending my self-hosted blog into a speed wobble? You can safely update the Twenty-Fifteen theme. Updating it won’t activate it. It’s always good to take a backup of your site before doing updates. The latest version of my WordPress theme has a bug. The version before it does not have this bug. Is it okay for me to stay on the previous version? I don’t use many plugins, only HTML and custom CSS which written against my child theme. Is it possible for me to make this version of my WordPress theme future proof? Will updating the current theme also remove any changes you’ve made to the header and footer? And all theme-related files in general? Any changes that have been made directly to theme files such as header and footer.php files need to be made in a child theme. If you update a theme you will lose any changes that were made directly to the theme. You need to move your modifications to a child theme before updating. How would I move those modifications? I read some posts about using @import but wouldn’t that auto-update any parent theme changes to the child theme? Or am I just assuming. Also it seems like to @import function is only for style.css so how would I carry all changes from different files over? Read this post – https://dandelionwebde.wpengine.com/child-themes/ I recently updated it. A child theme can overwrite any file in the parent theme: simply include a file of the same name in the child theme directory, and it will overwrite the equivalent file in the parent theme directory.